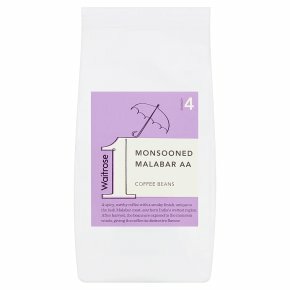 Waitrose 1 monsooned malabar AA coffee beans. A spicy, earthy coffee with a smoky finish. Strength 4.